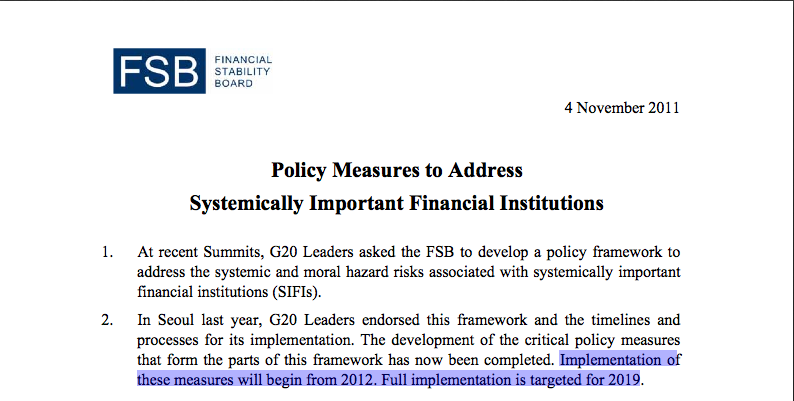 On April 1st, this blog broke the full story of how G20 Governments All Agreed To Cyprus-Style Theft Of Banks Deposits … In 2010. In recent days, numerous alternate media outlets have reported that Federal Reserve board member Jeremy Stein has confirmed this at an IMF-sponsored conference. Please find a review of some data from a recent speech by a central banker that reinforces the rapid approach of “bail-ins”. The speech by Federal Reserve Board Member Jeremy Stein at an IMF-sponsored conference focused on “too big to fail” (TBTF) banks and “systemically important financial institutions” (SIFIs). Bail-in is coming faster then we know. For god’s sake protect yourself. Come to the Q&A. At the “Rethinking Macro Policy II,” a conference sponsored by the International Monetary Fund, Washington, D.C. It is worth reviewing this blog’s report of April 1st for the full details of the BIS-funded, FSB-directed plan to steal your bank deposits when our banks begin to go under. Conveniently ignoring that bank deposit holders are taxpayers too.